Tucked away on a quiet side street in Zhongzheng District, a 10-minute walk from Xiaonanmen Station, is a cafe to satisfy your cravings. North Italy Ratting Coffee (北義極品咖啡館) is an open space full of kitschy antiques that no one wants anymore, like a rotary phone and TV from the 1970s, which gives the cafe an artsy atmosphere. It’s a friendly cafe to chat with friends or bring a date; there’s even some outdoor seats to enjoy the cooler evenings. 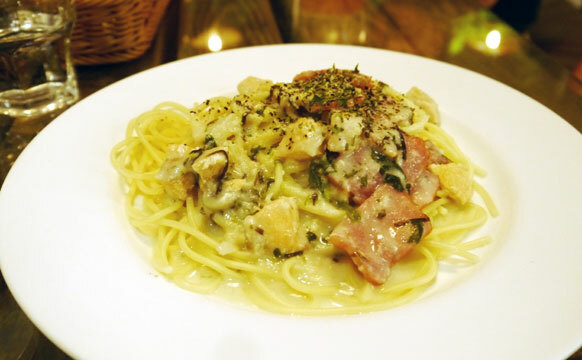 It’s a comfortable cafe to enjoy an afternoon coffee or tea or even dinner and dessert. 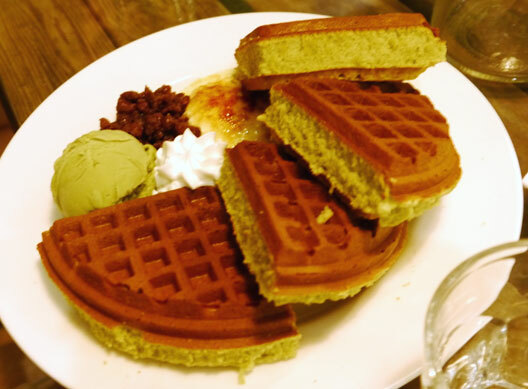 Their English and Chinese menu offers a variety of burgers, sandwiches, pasta dishes, and waffles at reasonable prices. Almost everything on the menu is under NT$300, and most meals are close to NT$200. Waffles are all under NT$120-160. If you want to sit around and enjoy a beer, North Italy Ratting Coffee offers eight beers on draught and a wide variety in bottles. Only some of the bottles are in the fridge and you have to ask for prices–they can range from NT$110 to $500+. The selection changes, so you can return to see what beers are new. They usually have a large selection of Mikkeller beers, though they sold out of the Beer Geek series, as well as some local craft beer like Sambar Brewing out of Hsinchu. If you’re just stopping in for a beer, there’s a NT$50 charge. You can, however, get beer for takeout, which is better if the bottle you want isn’t already in the fridge. 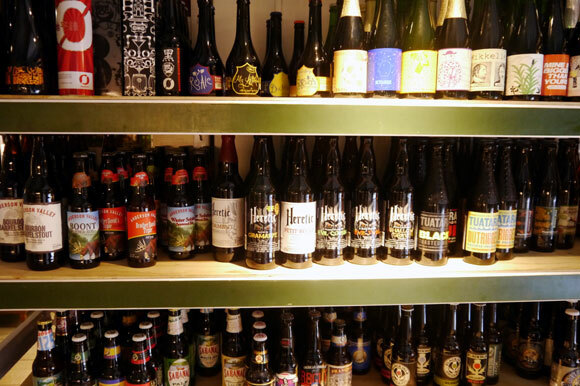 If you need help choosing a beer, the friendly staff will suggest a few for you–you just have to tell them the type of beer your in the mood for.